It's time to be bold, throw away the tent and head to the state park of your choice in this Minnie Plus. 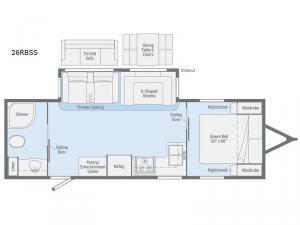 You will love the solid surface countertops and appliances allowing you to cook just like at home, plus you will be able to sleep above ground on a queen bed or on the U-shaped dinette once prepared for bedtime. The sliding bathroom door in the rear, and the front bedroom door both save space so you can move around easily. This is the perfect trailer for a couple or smaller family. With any Minnie Plus travel trailer by Winnebago Industries Towables you will enjoy sleeping on a queen bed, and relaxing under the power awning with LED lights outside. The docking station, LP quick connect, and exterior spray port provide easy set up and clean up. 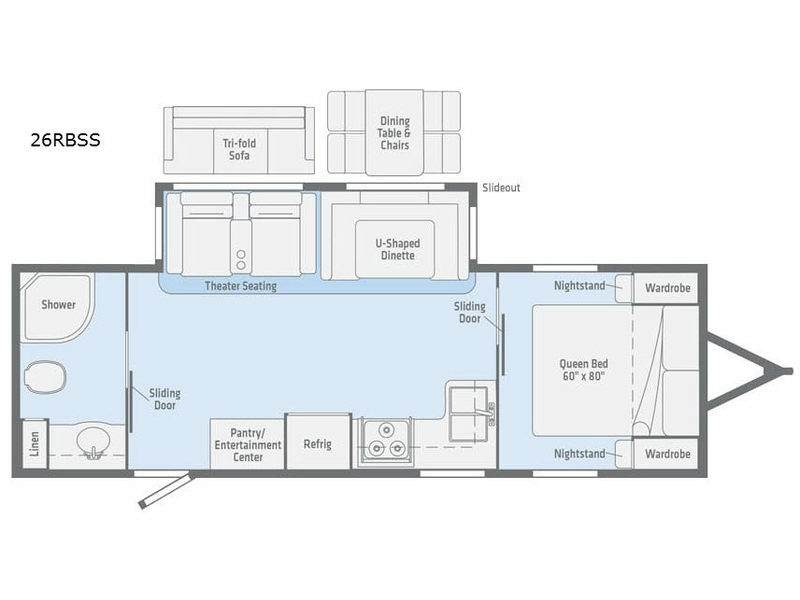 You will find plenty of storage throughout, many standard features, and bold exterior colors to choose from.